The use of third-party contractors or subcontractors is a common and growing business practice in America. It is utilized by both small businesses and large multinational corporations for a variety of reasons, including obtaining economies of scale or increasing productivity. Although it is often praised and encouraged in many business sectors, Native American-owned businesses are often criticized when using third-party contractors. The criticism is often a result of a misunderstanding of tribal sovereignty and economic development in Indian Country. To start, tribal governments are sovereign nations and can create government-controlled economic arms that can pursue commercial activities to produce revenue. Historically, the profits from these tribal businesses get revinested back into the local community, funding roads, bridges, hospitals and much more. To put things in perspective, the average home builder employs 22 subcontractors, sometimes as many as fifty, to build a single home because building a home is complicated. The primary contractor generally doesn’t have all the skills and expertise in-house. As a result, more than 90 percent of builders use specialized subcontractors for drywall, plumbing, electrical wiring, and carpeting. The share of subcontracted constructions costs can easily reach 75 percent per home. Large multinational corporations also hire third-party contractors. Boeing, the second-largest U.S. federal contractor in the United States, may hire around 15,000 subcontractors in any given year to ensure projects are done in a timely manner, and this is typically seen as a huge win for small businesses. In the financial services sector, firms employ a large and growing number of third-party contractors that assist in specialized products and services like denial-of-service mitigation, merchant-card processing, and more. According to the Office of the Comptroller of the Currency (OCC), “banks can achieve greater economies of scale and can streamline services among industry participants” by using third-party service providers. Despite the use and encouragement of third-party contractors in modern business, it is often criticized as a “rent-a-tribe scheme” if a tribally-owned business employs a third-party contractor. According to James Williams Jr., the chairman of the Lac Vieux Desert Band of Lake Superior Chippewa Indians, this racial slur originated in the tribal gaming industry. Today, the slur has moved on to disparage tribal online lending entities and other native-owned financial institutions. 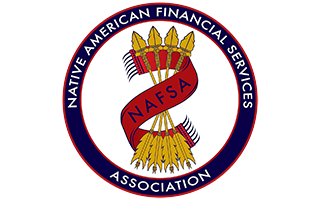 “When tribes make the commonplace strategic decision to outsource call center services, direct mail, or software development, opponents of fintech and online government-to-consumer lending accuse tribes of so-called ‘rent-a-tribe’ schemes,” said Williams. It is not only unfair to attack tribal businesses for using third-party contractors when it is a common and popular business practice in America today, but it runs counter to court precedent and U.S. law. In Oklahoma Tax Community v. Potawatomi Tribe, the presiding judge ruled that “Indian tribes are ‘domestic dependent nations’ that exercise inherent sovereign authority over their members and territories.” In addition, tribal sovereignty is “not limited to government-related activity occurring on tribal lands, but also protects the tribe’s off-reservation, for-profit commercial conduct,” according to a court ruling in Ameriloan v. Superior Court. Tribal and non-tribal businesses can, and should, work with third-party contractors to achieve the greatest returns possible for their communities. For publicly-traded companies, this may mean more money lining the pockets of the firm’s shareholders. For tribal businesses, this often means more roads, bridges, and hospitals for local communities.